Visiting Mitaka-shi and looking for a place to swim? Nice choice! Don't forget to tell us how did it go. Introducing now Mitaka City Gymnasium Complex swimming pool, an awesome swimming pool sent by a swimmer like you few days ago. Have you visit this pool? Do you perform here? Please, get in touch with us if you have information and facts that you consider is gonna be useful and bear in mind from now on you can now promote every pool just by sharing this page with your close friends or adding comments within the Facebook boxes below. Come on and help this pool to be the first in Mitaka-shi! Among all the activities supplied by the center, if you're interested in swimming you can enjoy 25 meters x 15 meters, 7 lanes, 1.2 meters - 1.5 meters depth, 1.2 meters - 1.5 meters depth, Indoors. Just in case you want to get in touch with this Swimming Pool prior to dropping by, we only know the phone number. What will you locate there? Do you need to make contact with them? If you believe that any on the facts is incorrect, please make contact with us. Assistance us be better day-by-day. Updated on 2019 6-10-3 Roppongi , Minato-ku , Tokyo , JAPAN (Postal Code: 106-0032). Among all the activities supplied by the center, in case you are thinking about swimming you will enjoy 20 meters x 7 meters, 3 lanes, Indoors. If you'll want to make contact with this Swimming Pool, email address and phone number are both number. Updated on 2019 5-11-20 Kichijôji Kitamachi , Musashino , JAPAN (Postal Code: 180-0001). Swimmers like you reported 25 meters x 15 meters, Indoors. Unfortunately we do not have the email address of this Swimming Pool, but we can give you the phone number. Updated on 2019 2-1-8, Uchi-Kanda , Chiyoda-ku , Tokyo , JAPAN (Postal Code: 101-0047). 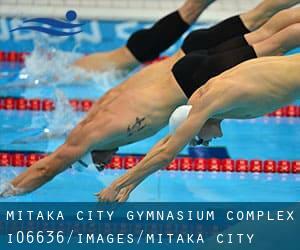 Swimmers like you reported 25 yards, 6-8 lanes, 1.3 meters - 1.6 meters depth, 1.3 meters - 1.6 meters depth, Indoors. Unfortunately we do not have the e-mail address of this Swimming Pool, but we can give you the phone number. Updated on 2019 Fujimidai 2-48-1 , Kunitachi , JAPAN (Postal Code: 186-0003). Among all the activities provided by the center, in case you are considering swimming you'll enjoy 25 meters, 5 lanes, 1.1 meters - 1.3 meters depth, 1.1 meters - 1.3 meters depth, Indoors. Just in case you desire to contact this Swimming Pool prior to dropping by, we only know the phone number. Updated on 2019 2726-8 Nakano-machi , Hachioji , JAPAN (Postal Code: 192-0015). Swimmers like you reported 25 meters x 13 meters, 6 lanes, Indoors. Unfortunately we do not have the e-mail address of this Swimming Pool, but we can give you the phone number. Updated on 2019 3-26-46, Haginaka , Ota-ku , Tokyo , JAPAN (Postal Code: 144-0047). This sports center delivers 25 meters x 11 meters, Indoors. For this Swimming Pool, only phone number is number here. Updated on 2019 Sekino Cho 1-13-1 , In Koganei Park , Koganei , JAPAN. This sports center provides 25 meters x 14 meters, 6 lanes, 1.2 meters - 1.5 meters depth, 1.2 meters - 1.5 meters depth, Indoors. For this Swimming Pool, only phone number is number here. Updated on 2019 1-17-1 Sendagaya , Shibuya-ku , Tokyo , JAPAN (Postal Code: 151-0051). Swimmers like you have reported Olympic size x 20 meters, 8 lanes, 1.2 meters - 2.2 meters depth, 1.2 meters - 2.2 meters depth, Indoors. Also, you will find 25 meters x 13 meters, 6 lanes, 1.2 meters - 1.4 meters depth, 1.2 meters - 1.4 meters depth, Indoors. Just in case you desire to contact this Swimming Pool prior to dropping by, we only know the phone number. Updated on 2019 3-15-2 Minamino , Tama , JAPAN (Postal Code: 206-0032). Swimmers like you reported Olympic size, 8 lanes, 1.2 meters depth, 1.2 meters depth, Indoors. Unfortunately we do not have the e-mail address of this Swimming Pool, but we can give you the phone number. Updated on 2019 2-10-4 Toranomon , Minato-ku , Tokyo , JAPAN (Postal Code: 105-0001). This sports center delivers 20 meters, 6 lanes, 1.1 meters - 1.2 meters depth, 1.1 meters - 1.2 meters depth, Indoors. For this Swimming Pool, only phone number is number here. Updated on 2019 3-1-13, Shiragsagi , Nakano-ku , Tokyo , JAPAN (Postal Code: 165-0035). Swimmers like you reported 25 meters x 15 meters, 7 lanes, Indoors. Unfortunately we do not have the email address of this Swimming Pool, but we can give you the phone number. Updated on 2019 Field Komiya 353 , Akiruno , JAPAN. Among all the activities provided by the center, if you are enthusiastic about swimming you will take pleasure in 25 meters, Indoors. Just in case you want to make contact with this Swimming Pool prior to dropping by, we only know the phone number. Updated on 2019 Shibasaki-cho 6-15-9 , Tachikawa , JAPAN (Postal Code: 190-0023). Swimmers like you reported 25 meters x 15 meters, 7 lanes, Indoors. Unfortunately we do not have the email address of this Swimming Pool, but we can give you the phone number. Updated on 2019 Town 1 - 11 - 4 , Musashino , JAPAN (Postal Code: 180-0006). Among all the activities provided by the center, when you are interested in swimming you are going to take pleasure in 25 meters, 6 lanes, Indoors. Just in case you want to contact this Swimming Pool before dropping by, we only know the phone number. Updated on 2019 Miyazawa Cho 3.16.1 , Akishima , JAPAN (Postal Code: Unknown). This sports center gives 25 meters, Indoors. For this Swimming Pool, only phone number is number here.